Amazing mountain cabin! 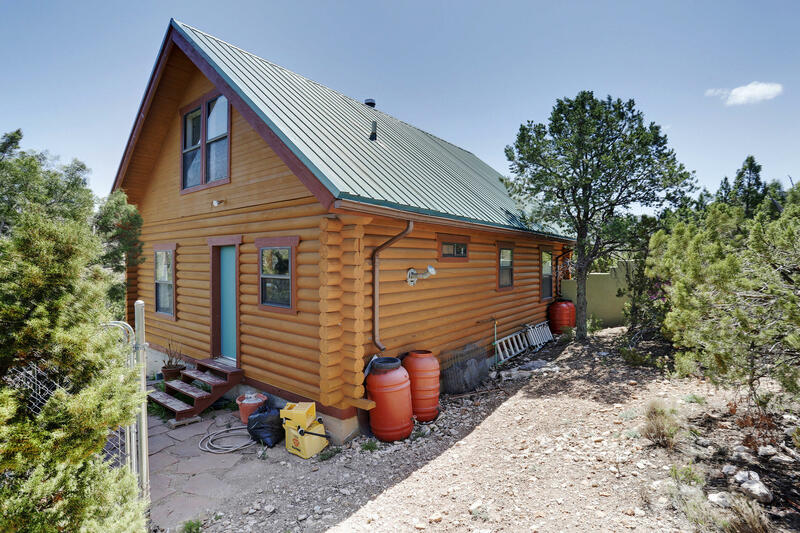 Private getaway yet only minutes to I-25 and Albuquerque. Nestled in the trees on 2.5 acres close to National Forest. Relaxing front porch where you can watch nature for hours. Wild horses may roam right up to the porch. Greatroom boasts vaulted wood ceilings, wood floors, and a cozy woodstove to keep you toasty on those winter nights. Updated kitchen with ample cabinets, solid surface counters, and stainless steel appliances. Updated 3/4 bath. One bedroom on main level, and open loft bedroom up. Room in loft to add a bath and create a master suite. Large laundry utility room opens to backyard. Storage shed out back. Gutters and water barrels. Relax in the hot tub and enjoy the night sky from this amazing location. DIRECTIONS: I 25 To Exit 242. East On Highway 165 Past Village. Right On Osha Springs At ''pavement Ends'' Sign.